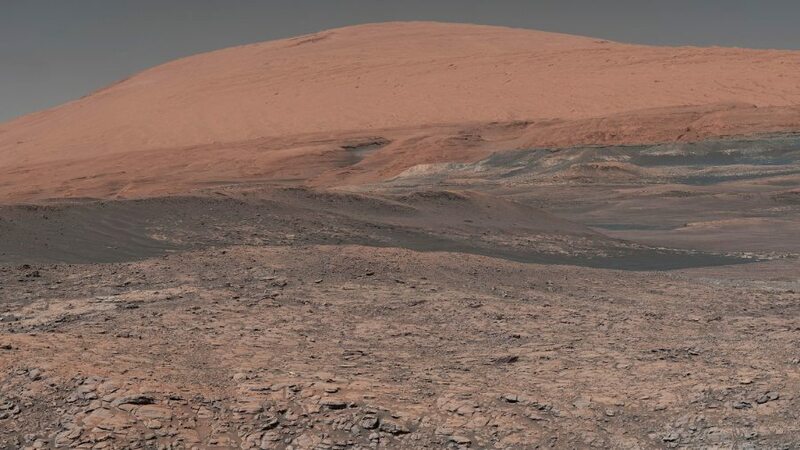 FILE - This image provided by NASA, assembled from a series of January 2018 photos made by the Mars Curiosity rover, shows an uphill view of Mount Sharp, which Curiosity had been climbing. In our solar system family, Mars is Earth’s next-of-kin, the next-door relative that has captivated humans for millennia. The attraction is sure to grow on Monday, Nov. 26 with the arrival of a NASA lander named InSight.